Dubai, UAE, August 24, 2016: Dubai Festival City Mall is bringing a raft of America’s best-loved dining experiences to Dubai with celebrity favourites including, Cheesecake Factory, California Pizza Kitchen, Joe’s Crab Shack, Texas Roadhouse, Smashburger, Serendipity 3, Bareburger , Totilla which boasts ‘The Real Californian Burrito’ and for the very first time in the UAE, The Sugar Factory. Whether you are looking for a quick snack or to share, there is a vast array of new and delicious options to choose from making the mall the dining go-to destination. With new outlet openings taking place throughout the month of August and the rest of the year, food lovers will be spoilt for choice with over 50 appetising dining selections available for all to enjoy. 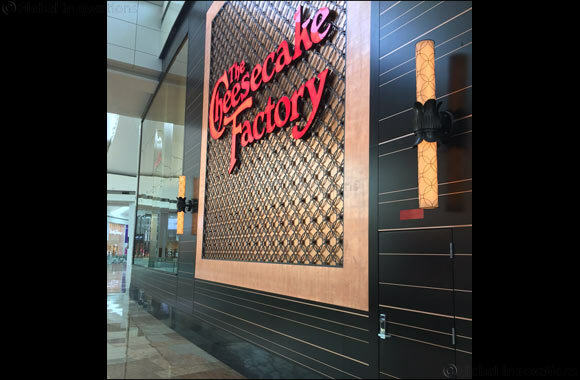 The new outlets will be bringing with them their star spangled reputation as The Cheesecake Factory and The Sugar Factory are popular destinations with the likes of A-list Hollywood royalty such as Kim Kardashian, Drake, Kylie Jenner and Eva Longoria. Whether it be for the dessert haven at the award winning Cheesecake Factory, organic fares for the health nuts at Bareburger, sugar treats at The Sugar Factory, laid back California style pizzas, or casual dining and seafood with Joe’s Crab Shack, the options offered at Festival City are sure to have something for everyone’s taste buds and style. Some of the highlights across the US favourites include the 50 different flavoured cheesecakes at The Cheesecake Factory, the frozen hot chocolate at Serendipity, a 12 scoop King Kong Sundae Ice cream at The Sugar Factory, or even its signature Smoky Goblet commanding attention and theatrics with its dry ice presentation. Endless dining selections include organic burgers for the health conscious at Bareburger. The US dining destinations will join a range of other cool new outlets at the mall including Fratelli la Bufala, Eataly and Bucca Di Beppo, as well as Japanese favourite Yo Sushi!